Let me share with you some of the trees which are native to my city lahore (Pakistan) and blooming right now. These are Trees of Parkinsonia aculeata, Pterospermum acerifolium and Erythrina suberosa. 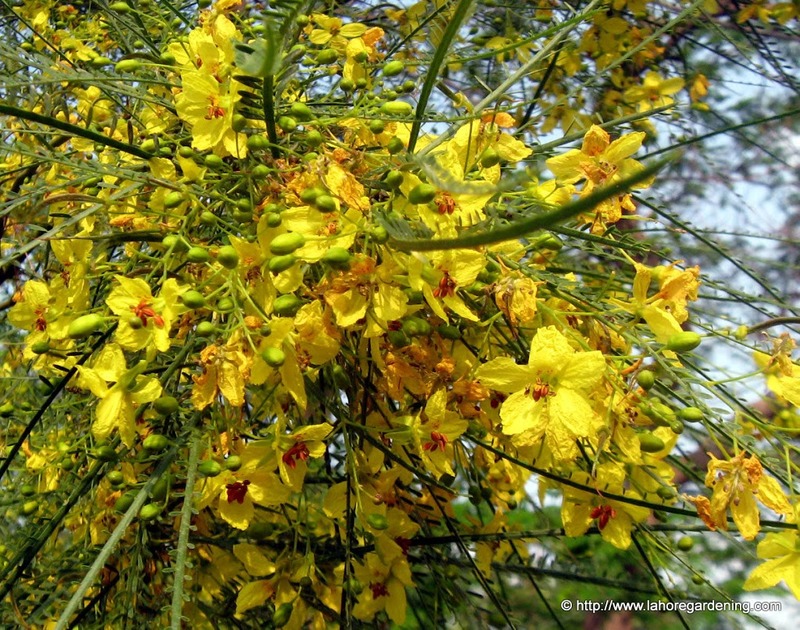 First one is Parkinsonia aculeata also known as Vilayti kikar. It is a roadside tree covered in yellow flowers. It is also called Jerusalem thorn due to its thorny stems. 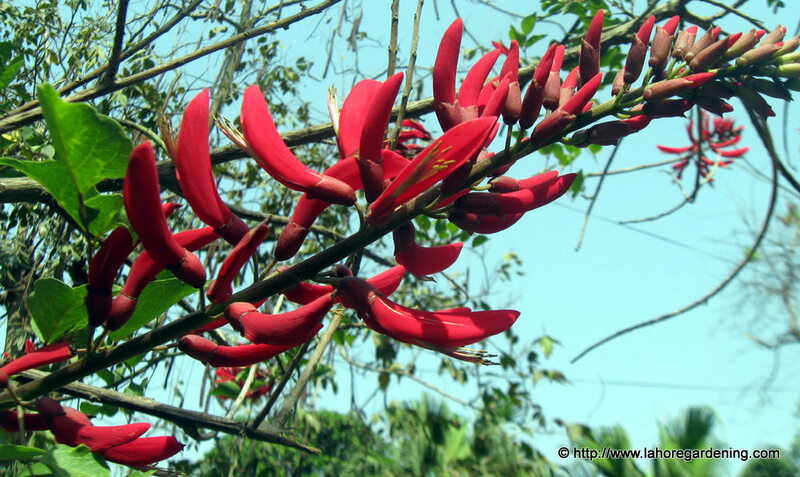 Erythrina suberosa also called as Coral tree. Tree looks spectacular when in bloom. 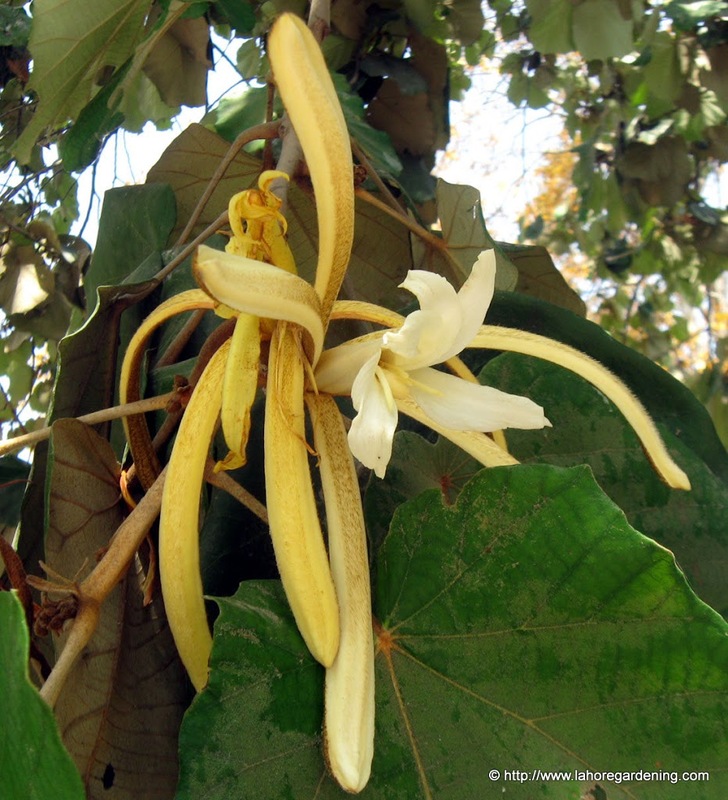 Pterospermum acerifolium with local name kanak champa, a fragrant tree native to india, Pakistan and other south asian countries. Fragrant flowers although leaves are very large. Flowers emit fragrance at night. Another common tree in india and Pakistan. Visit Today’s Flowers for more beautiful flower posts all around the world. Wow, these are beautiful trees! I really like the Parkinsonia, in spite of the vicious looking thorns. Wonderful color! I have never seen any of these trees before….They are simply spectacular! I like the red-blossoms the most. 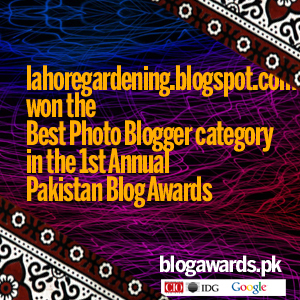 Please take a peek at my Flowers post. Have a good weekend ahead! These are gorgeous and the petals in the first flower almost look like paper. Great shots. These are gorgeous! The last one is odd looking but beautiful. Terrific shots! How I would love to swap places with you for a few weeks so I could see these flowers up close. I do not know where to start complimenting you on these beautiful shots. What a gorgeous spot in which to live. You have certainly brightened my night as I am about to go to sleep. Stunning. can i just marvel at these photos. words can never equate the beauty i am seeing here. Beautiful shots! Have a fabulous week. Just beautiful! 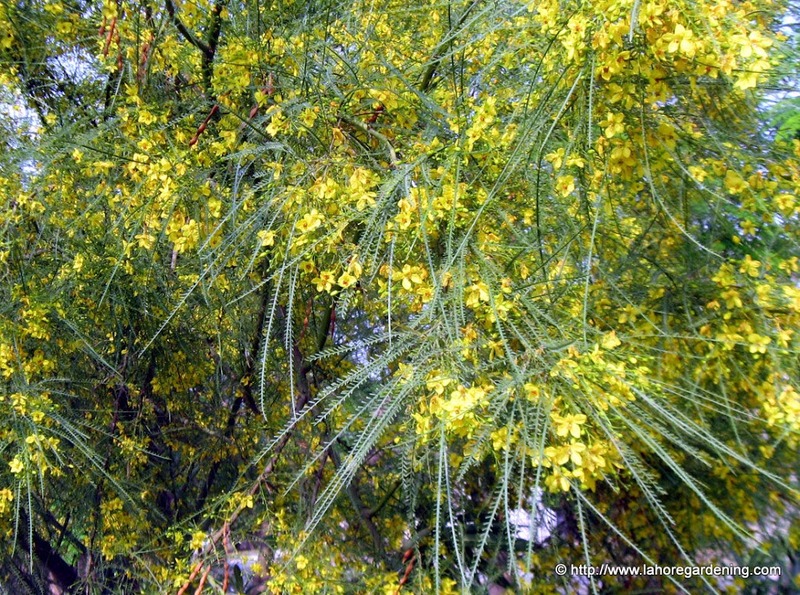 Especially love the Parkinsonia. How exotic. Like stepping into a botanical garden greenhouse. Like Genie, i wouldn’t mind spending some time amongst those trees. Gorgeous captures. Happy Macro Monday! 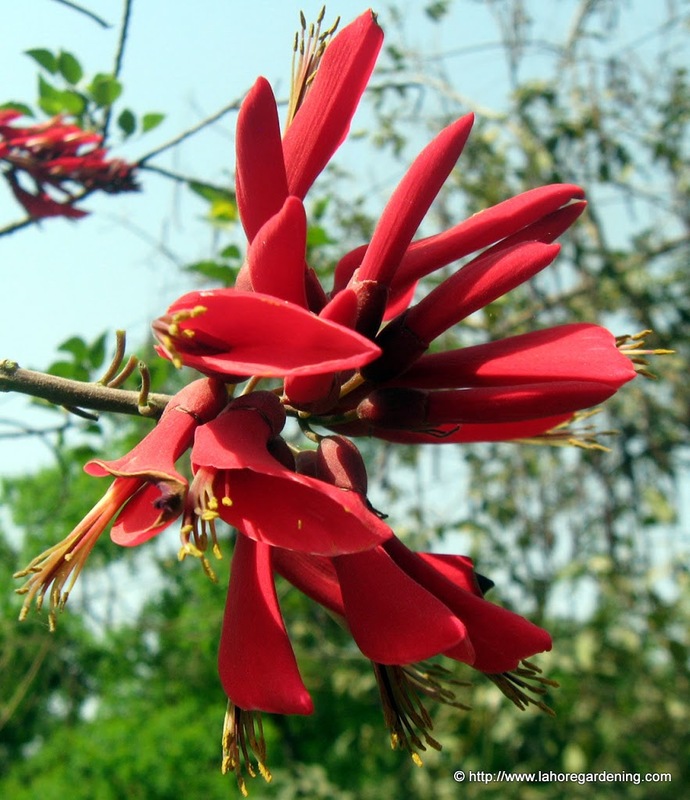 I’ve never seen such exotic flowers. How gorgeous! Wow I can’t remember if I’ve seen this flowers just gorgeous!!! All of them are so beautiful. 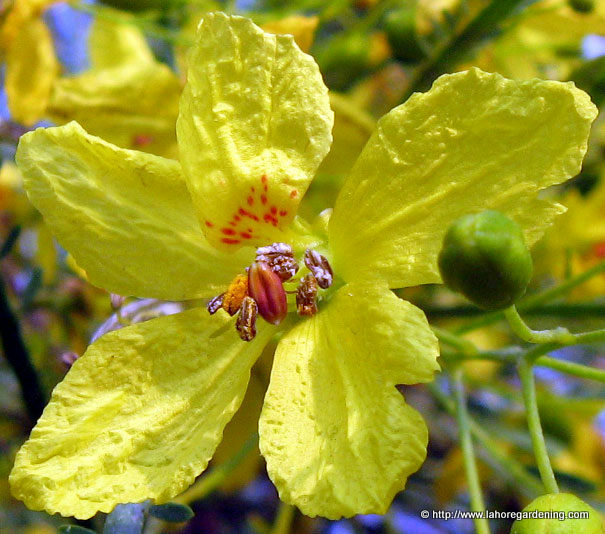 Your lovely Jerusalem Thorn Trees look very much like the lovely Palo Verde Trees of our Southwestern Desert. I have some growing in my Garden and being a Native drought tolerant species they thrive and put forth magnificent blooms like this in abundance even during our most unforgiving Seasonal heat and droughts. The first photo is just stunning – such beautiful colors! Gorgeous blossoms! They look so exotic to my Canadian eyes! Amazing trees! They are so beautiful covered in those flowers.